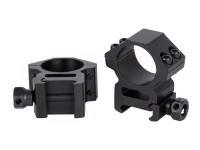 UTG Scope Mount Base, Fits RWS Diana Rifles, Gamo Whisper & Others. . Fits guns with the T05 trigger. 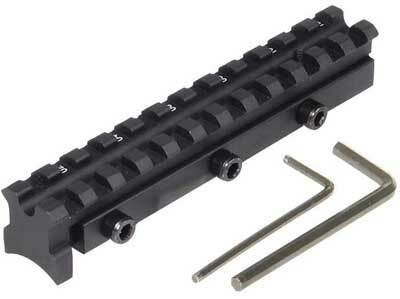 In 2011, Diana introduced the T06 trigger and it also has a longer rail. This adapter does NOT fit the guns with a longer rail. Special "recoil shock shoulder" stops scope shift--forever! What others should know: I bought it for a Gamo Bone Collector which I believed it would work on but will not and don't know how it would fit any Gamo air gun that I have owned. Things I liked: Very SOLID platform for my large 4-16X50 UTG scope. This was THE ANSWER for barrel droop on my RWS 34. Things I would have changed: Nothing, UTG thought of everything. What others should know: Having trouble bringing your scope into range vertically? This it a cheap fix. Things I liked: fit like a glove.